USB Mass Storage Device (MSD) Class: Receives .hex files from the host PC and then programs the target device using Microchip Technology’s In-Circuit Serial Programming™ (ICSP™) technology. Note: Hardware debugging is not available. 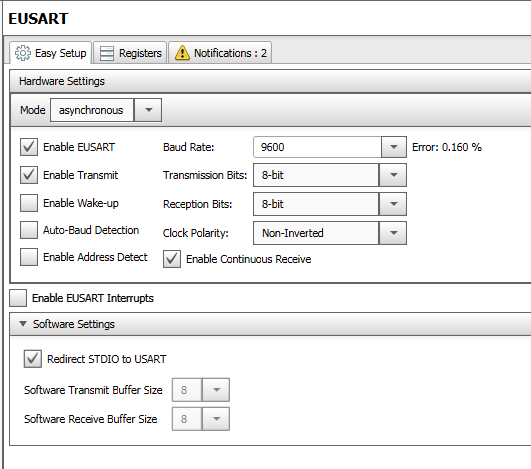 USB Communications Device Class (USB CDC): Translates EUSART data transmissions from the target MCU and transmits over the USB connection to the host computer. 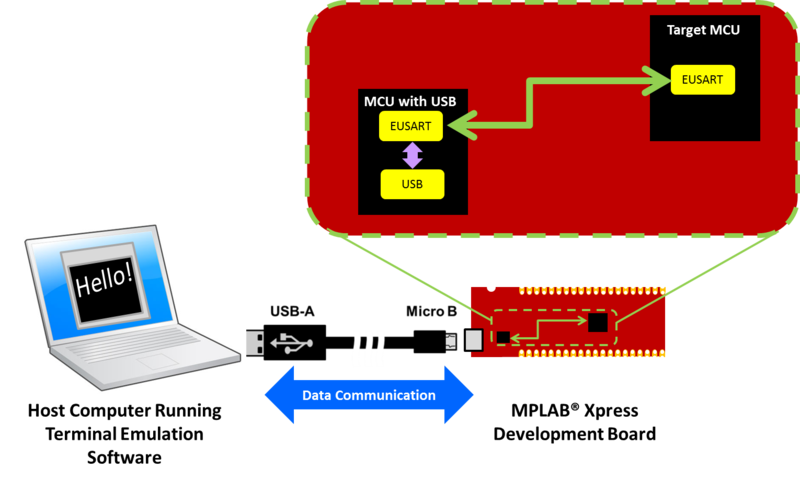 Using the latter CDC configuration enables the target MCU to send and receive information through the second MCU with USB capabilities to an available USB port on a host computer. 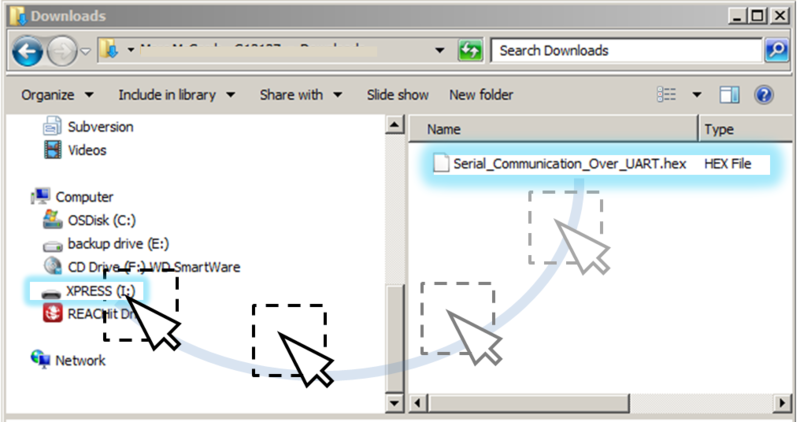 Terminal emulation software (see links in the Equipment Needed section at the beginning of this manual) running on the host computer connected to the associated COM Port can then be used to display information from the target MCU or allow the user to send commands back to the Microcontroller. 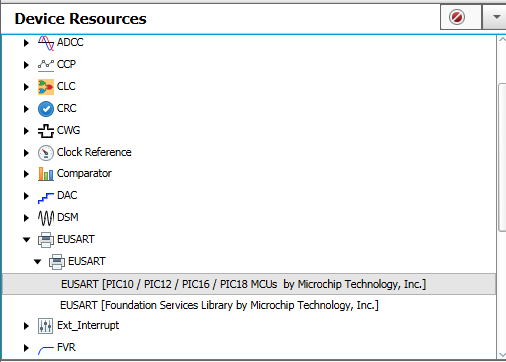 In the open MCC window the default parameters for the System resource can be used. 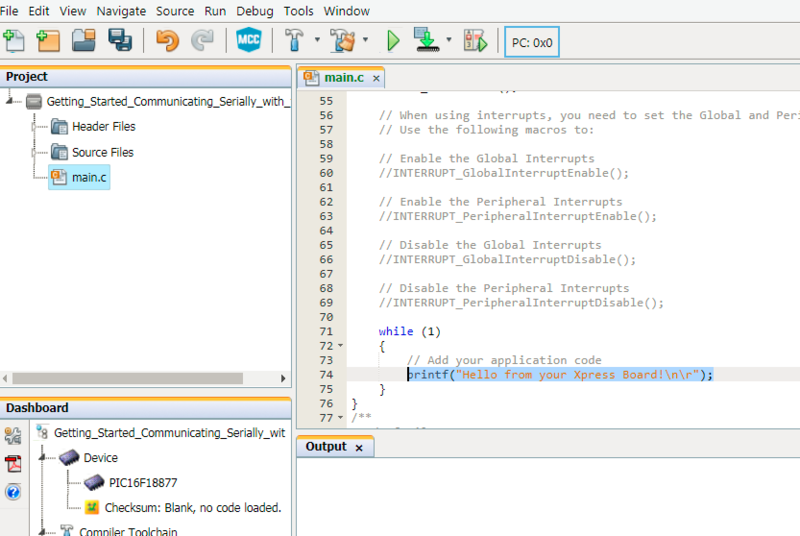 Open a terminal emulator program on the host computer and select the COM port associated with the MPLAB Xpress board. *Note that the COM port number will vary from that shown below. 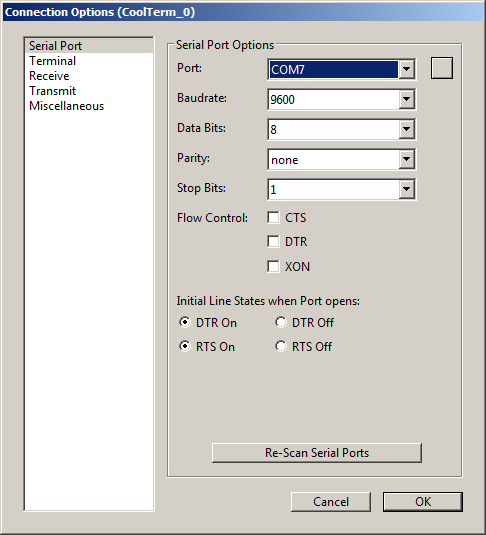 If using CoolTerm, open the **Connection>Options… **dialog and configure the serial port at the 9600 baud rate that was configured earlier in the project when configuring the EUSART in MCC. Inside of the terminal window click on the button to establish connection with the Xpress board. Once communication is established the terminal window should display the string in the printf() added to main.c earlier in the project.